EBay Inc's payments business, PayPal, already lends money to online shoppers, but it is now starting to finance the merchants who sell on the company's online marketplaces. PayPal has already tested a financing program for eBay sellers in the U.K. and it plans similar tests in the United States this year, a company spokesman said on Tuesday. "Marketplaces is a great innovation lab for us to test new experiences," Gary Marino, senior vice president, global financial services at PayPal, said at eBay's investor day last week. "We've done it successfully with credit and we are experimenting with many new capabilities which will drive share like small business lending." The U.K. program and the up-coming U.S. test focus on merchants selling on eBay.com, which number in the millions. The PayPal spokesman declined to say how many of these sellers it was targeting with the new financing. Banks and other providers of loans for merchants pulled back in the wake of the 2008 financial crisis, leaving an opening for alternative sources of financing. Factoring, a common source of financing in the retail business that is provided by lenders such as CIT Group and Wells Fargo, can be tough to tap for smaller merchants. The combination of fast-growing online shopping and a lack of credit for smaller businesses has created strong demand for new types of financing among sellers that ply their trade on Amazon.com, eBay.com and other marketplaces. Internet firms have already stepped in to satisfy demand from these merchants, who need financing to pay upfront for inventory, buy supplies and even hire extra staff, especially ahead of the annual holiday shopping rush. Amazon.com Inc, the world's largest Internet retailer, launched a merchant financing program before the holidays last year called Amazon Lending. On Wednesday, start-up Kabbage Inc said it closed a $75 million credit facility, its largest financing to date, to fund more advances to merchants selling via online marketplaces including Amazon.com and eBay.com. "There is a clear void in the market as traditional financing sources remain reluctant to lend," said Tom Affolter, principal at Victory Park Capital, an alternative asset-management firm that led the Kabbage debt financing. Existing equity investor Thomvest Ventures contributed a significant amount to the $75 million debt financing. Kabbage declined to say how much. Thomvest Chairman Peter J. Thomson is a director of Thomson Reuters Corp, which owns the publisher of this report. Kabbage, which is also backed by BlueRun Ventures, United Parcel Service Inc and TPG Capital Founder David Bonderman, made 39,048 advances to merchants last year and expects to make almost 100,000 in 2013, Co-Founder Marc Gorlin said. Kabbage has not disclosed the dollar amount of money it has advanced. PayPal's Marino founded Bill Me Later, an online consumer credit business that eBay acquired in 2008. This business, which lends money to shoppers on eBay.com and other websites, is one of the company's fastest growing operations. 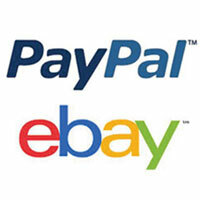 BML, as it is known, has helped boost sales on eBay.com, while lowering PayPal's funding costs. Advancing money to online merchants may increase sales on eBay.com, according to R.J. Hottovy, an equity analyst at Morningstar. "Allowing merchants to purchase additional inventory, or increase advertising budgets, should theoretically lead to additional eBay listings," he added. In the U.K., PayPal teamed with United Kapital, a financial-service firm that specializes in merchant cash advances. The U.K. program offers merchants up to 25,000 pounds from United Kapital to spend on anything related to their business, including advertising, buying new products to sell, website re-design, refurbishing physical stores and hiring staff. Merchants apply online by entering their PayPal account details. If approved, the size of the advance they get is based on their past PayPal sales receipts. Merchants get a decision within 72 hours of applying, according to PayPal. The advances are paid into merchants' PayPal accounts. They are charged a fee based on their credit risk. In a working example provided by PayPal, a merchant got an advance of 12,000 pounds. The fee for this was 3,240 pounds, or 27 per cent of the amount advanced. Merchants can then choose to re-pay the money as a percentage of their daily PayPal sales receipts. In the example provided, the merchant agreed to a 12 per cent rate, meaning 12 per cent of their daily sales were used to repay the advance.